Amazon's total purchase in order to qualify for free shipping is $49 (although select book purchases qualify when the total is $25 and above). Here are some ways you can get the most bang for your buck and still qualify for that free shipping, even without Prime. Filler items, as the term sounds, refers to those items that you purchase just to fill your online shopping cart and meet a minimum price. Sure, you could search Amazon for deals yourself, but finding an item that doesn’t exceed that $49 minimum by a lot is difficult. That’s where websites like http://www.filleritemfinder.com/ and http://www.filleritem.com/ come in handy. Just input the amount you need to add to get free shipping and the results will come pouring in. While you might receive search result duds (VHS tapes? ), these sites could also get you free shipping and a headphone splitter or Maybelline lip balm. Not bad for $3. This sneaky little trick will bring you up to a $49 cart total quick — and will reserve your place in line for new stuff. If you place pre-order items in your cart, and then check out, they’ll count toward the total purchase, but you won’t be charged for the items until they ship. You can find hotly anticipated new book releases for pre-order here and video games for pre-order here. If you don't end up wanting the item, you can always cancel the order before it ships. There are a lot of items that we need to replenish on a semi-regular schedule, and for those, Amazon’s Subscribe & Save is essential. And even better, the shipping is free. You save five percent on 1-4 items shipped or 15 percent if there are five total items that will ship to you in a given month. You can also modify your subscription at any time, so your order comes every two months, three months or so on. You won’t have to worry about having enough baby wipes or cat food ever again. 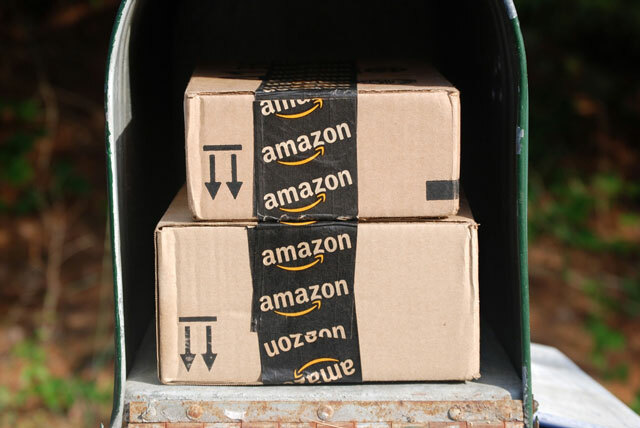 A lot of small, lightweight items don’t cost much to ship, and Amazon Marketplace sellers often offer them with free shipping to get more orders. You'll find these offers under "Other Sellers." Sometimes, they’ll even cost less than Amazon is selling them for! The only drawback is that they’ll usually arrive in five to seven days. If you're a student with a valid .edu address or can verify your student eligibility, you can join Amazon Student and receive 50 percent off an Amazon Prime Membership for four years. And while even $50 may be a high price to pay for an Amazon Prime Membership, remember that there are a lot of perks that come with it, aside from free 2-day shipping. I just had to order a micro USB card. Amazon’s price was 12.60. They added tax and then a whopping EIGHT BUCKS to ship that tiny thing. One of Amazon’s sellers with a 99% rating was offering it for 12.74, no tax, and free shipping. Which one do you think I picked? I can wait five days. Check those other sellers, folks! As a long term Amazon Prime member, I fail to see the problem with the cost of membership.I order frequently and the membership cost more than adequately is made up in the lack of shipping costs. And I can forgo 2day shipping for credit on account for credit for shipping on the Amazon Pantry and Amazon Fresh sections. Maybe because the items I shop are found on Amazon helps but I don’t want to have to spend a certain amount to get free shipping..
Why doesn’t Amazon offer a reduced Amazon Prime fee for senior citizens? I am a senior citizen and I ask you this question——-Are you looking for reduction on prices that are already reduced or lower shipping cost overall. If you only order once in awhile on Amazon then don’t get the Prime membership BUT if you order at least once weekly the Prime membership more than covers the yearly cost of shipping You are already getting reduction in cost of items. You can buy one item for $5.99 daily and pay shipping or pay the $99 yearly and pay no shipping every day and buy everyday. Once you are old enough to have worked you entire lifetime and be at the point of retirement, you don’t need a discount. College students pay more for a year of college than you most likely did for your entire college degree. They can’t work part time and pay it off. They can’t get jobs right out of college anymore because a certain generation (BOOMERS) refuses to or can’t find a way to retire. PLUS the whole point of amazon offering the college discount is so when the students graduated they’ll be so addicted to prime, they won’t think twice about paying for it in full… you know, when they actually get to start a career at the age of 30. Amazon loses money by offering seniors a discount seeing as, well they can’t make money off you in your next stage of life. While this is an honest interpretation of what is occurring in the market for recent grads, especially those between 2008-2010, it does come across as angry. Maybe it’s fear due to the uncertainty you face. But you are not a Boomer. Hey, maybe you have more opprlortunities now than ever before. You aren’t at the point of retirement so you have no idea what your future will hold. Believe me life isn’t what it seems and changes unwxpectedly at every turn. Especially as we age and care for others. How would you feel if you were in their shoes? Please try your best to refrain from judgement, if only to help yourself. You never know, maybe you too will be on a tight budget & working at 65 +years of age with no one to back you up. How will you feel then? Would you like to read someone’s words the way you expressed yourself? It’s likely you have no idea what retirement actually entails. You are blessed to have a voice, but use it to be kind and uplift. That will give you more in the long run if you are concerned about discounts. Criticism and judgement only serve to hold you down and keep you separate from those you can learn from. Best wishes with your career & your outlook on life. You have what it takes! We all do…if we work together. can i sign up for the 30 day free trial off the prime membershipship then order a bunch of things to get free shipping and then cancel the mebership once the trail is over. or will i still get charged for shipping/membership? I have done that of using pre-order items to total $49 and then canceled the items once order was delivered. Tried it again about 2 months ago & Amazon must have caught on to the trick cuz they wouldn’t let me cancel & I had to purchase the pre-order DVD when it came out. Prime membership is over-rated, unless you order from Amazon every week. Most people don’t. Prime is overly complicated, bordering on deceitful. Only a minority of items are “eligible” for free shipping, even once you’ve paid a lot to be a Prime member. It’s been frustrating, having bought Prime myself, to discover most items I’m trying to purchase are not “eligible” for Prime free shipping. Amazon is gouging customers. I just started using Amazon and my first order was over 70 dollars and I paid over 8 dollars for shipping. Now I am about to place another order for over 50 dollars and I am being charge again. I thought even if I do not use Prime if I spend more than 50 I got free shipping. All I am getting are CD’s and they don’t weigh much. What is the problem? PS All items are eligible for free shipping. Which vendor are you ordering from? I had Amazon Prime mainly because I needed a fan right away. I bought some other things but at the end of the month it was easy to cancel and I was not charged. As someone who has used and paid for the Prime membership for many years, it is slightly confusing to me how people feel the cost is too much and only sign up for trial memberships to cancel after the trial period. Sounds like you also sign up for trial memberships for streaming on Netflix and Hulu and quickly cancel, too. If you find the yearly membership cost a burden, then pay the shipping cost, which by the way are set by the carriers which Amazon uses—USPS, UPS, etc. I personally would rather pay once a year to get guaranteed free 2 day shipping. If you have ever mailed/shipped a package cost is determined by size of package, weight, type of shipping ,speed of shipping and where it is going. The slowest/cheapest form of shipping takes anywhere from 2-3 weeks and is hard to track. At least with Amazon, I get a tracking record to follow for every package. Biggest problem I have ever had was with the delivery personnel not putting package at my door but leaving it elsewhere. In those cases, I wrote in to Amazon and that problem was resolved fast. I don’t buy just from Amazon and there are places I pay for the shipping and I chose the carrier and speed of my delivery (part of cost of buying). I get free shipping from B&N because I am a member which means I pay a yearly fee. I can only assume that those who are complaining of the Prime membership fee, don’t shop often on Amazon and do most of their online shopping elsewhere. It is your budget, it has worked for me. I know for a fact if you are noted as a overly complainer ( constantly returning items just to get money back after using item , start a Prime membership and cancel, etc.—You will be blacklisted off site for a year, minimum and may have to get special permission to return as a customer. Amazon does note those who attempt to fraud system. Another reason, I enjoy shopping with them. Amazon is just greedy, like the owner. Amazon prime should not be so expensive almost $100 per year, no thank you. I refuse to pay this amount due to not being able to afford it. Because of the high shipping on items, my ordering from Amazon has decreased a lot. It used to be were Amazon Prime could be shared with others, but that has stopped. I shop more on Ebay and get much better deals there. Perhaps overtime you may take the time and add up all those shipping charges over the year from the various places and actually see the total cost. I have a total year budget laid out and yes that is a hit (yearly) but compared to not having it, the cost savings over the year is sugnificantly less than paying the cost per order. I compare it to buying a bus pass which gives you free rides if you buy a weekly or monthly pass versus paying everytime full fare. If I’m in Serbia, will I still get free shipping? It sais that we need to add to cart only items with FREE Shipping on product page, none of products are for me with free shipping. When I go to view my cart it sais : Add 1.01$ more to get free shipping. Than I went back to view my cart and it sais Your order qualifies for FREE Shipping. Now, I’m asking, If I will still get free shipping with that message and $43.98 Subtotal with no Prime?? Shipping rates will vary depending on what you order, which Amazon site you order from (Germany vs US, etc.) and whether the item is hipped from Amazon or a third-party vendor. However, if your cart says free shipping and the total doesn’t show shipping charges when you sign out, then I would be pretty confident that the shipping will be free. If there is an error, the will likely contact you about it, not charge you unexpected shipping fees after the fact. It’s a nuiscance. I am a senior citizen and can’t lug packages from the lobby. So I see no use to joining prime. Will try other vendors!! I have the same question other seniors ask. Why does Amazon not offer a decent discount for seniors. Not all of us can afford your monthly or yearly cost to subscribe. the lobby are a headache. Amazon is inconsistent whether a small or large package is delivered by the Post Office.